Quietly nestled at the water edge. 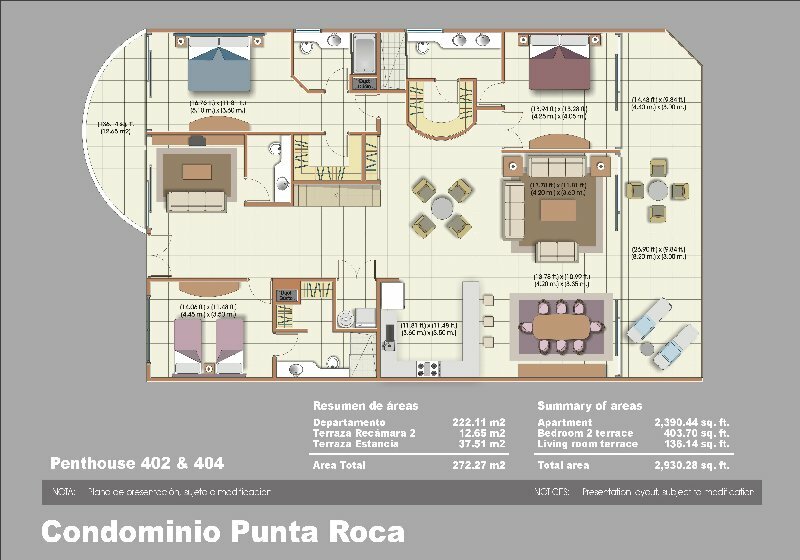 Punta Roca condominiums are located within a gated community with round-the-clock security. It is a mere 45 minute drive from Cancun international Airport and is less than a 20 minute drive from Playa del Carmen. 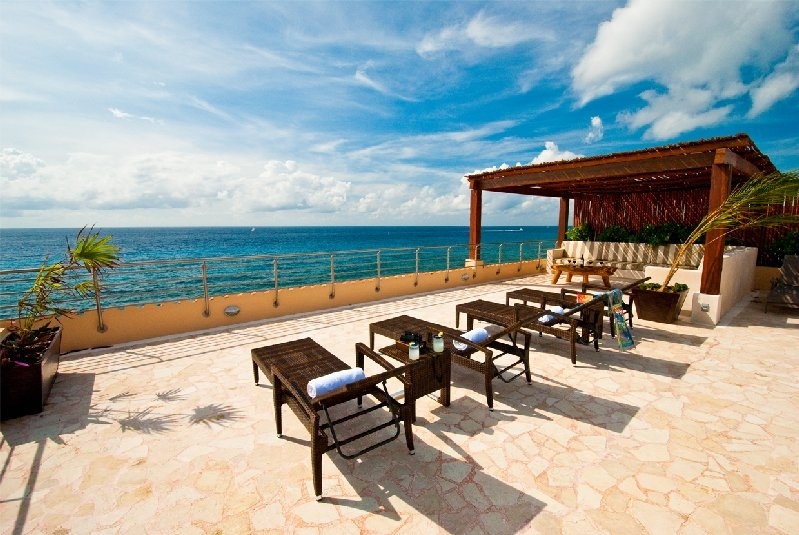 Al Cielo Penthouse is an enchanting oceanfront condo rental designed to entranse all the senses and provide owners and rental guest with a luxury rental home. The interior boasts four bedrooms, 4 baths, and a host of elegant touches. This unique vacation home boasts an imaginative and sophisticated flavor as evidenced in the details. 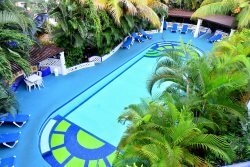 The surroundings are incomparable and include glorious ocean views from roof terrace jacuzzi and a sparkling pool. Al Cielo: Punta Roca 402 has lots of space and modern comfort with over 2900 square feet of luxurious accommodations and 1800 square feet of roof top deck. Entertaining is a delight: With expansive chic areas throughout the home, satellite television service, WIFI, air conditioning, vonage phone allows free calls to the USA. Fully equipped include top of the line appliances. Punta Roca implemented the highest construction quality and is sensitive to distintive living environment. This favorite of ours is a breathtaking, indoor-outdoor Caribbean Mexican coastal living with world class service. Access to white sandy beach located at the Omni beach club. Our Concierge Service can book great variety of activities throughout the Riviera Maya area, kite surfing, snorkeling, Deep Sea Fishing, as well as Yachts for rent or charter. You can also take advantage of Puerto Aventuras 9 hole golf course. Puerto Aventuras Rentals: Many properties you see are discreetly offered for sale. Contact us for a full list of the best properties in the Riviera Maya. 1800 square feet of roof top deck. Wireless Internet - please bring your own lap top. Check in 3.P.M. Check out 12.P.M . Please plan to arrive at your vacation home no earlier than 3pm. Please do not enter the premises before this time.